Scroll a little ways down and you will find out what to do to get listed with us. I am trying to find out how to have an art show listed. I have posted here in the past but don't know how to now. Hello Henry, As it is only May, I have not concentrated on getting the 2018 show dates up to date. Very few shows send me their new show dates causing me to have to hunt for them. I do try to keep the shows within 6 months current but beyond that I get to them when I can. I hope you saw our disclaimer in red. The disclaimer points out that there may be shows beyond that disclaimer that are not updated yet. Any show that is up to date will have an asterick to let you know that show has current dates. Looks like your dates for some of your 2018 shows listed have 2017 dates. Hello Joe, Thank you for your show updates. I will fix those dates right away. Thanks for sending your dates in to us. 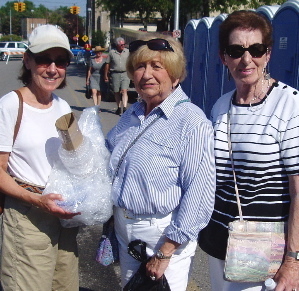 Inverness Festival of the Arts is 11/4-5/17. The dates above are incorrect. Thank you for this wonderful calendar. Hello Joe and thank you for alerting me to the Cedar Key dates. Shows approach us and ask to have their shows placed on our calendar and then we never hear from 95% of them when it is time to update their shows. So, that means I have to look up all these dates. I am certainly not complaining as I really like what I do, however it is very easy to get an occasional show date wrong. I try to contact shows if I am having trouble finding their show dates and then probably 15% still don't send me their show updates. So, I do appreciate it when someone lets me know about a mistake as we try very hard to have an accurate calendar. The Cedar Key Seafood fest in Oct is on the 15th and 16th. I just tried to book a room on your incorrect dates listed above (21st and 22nd). Hello Stephanie, Thanks for sending us in your dates for the Boca Raton Museum of Art Show. I try to keep the Art Fair Calendar update 6 months out. So, as of today (middle of July), I usually hope all of our shows are up to date through to the end of December. So, as you can see, February is a bit out of what I am working on. Most people don't realize that probably for 99% of the shows no one from the show sends me their up coming show dates. That means I have to hunt them down. I look at websites and I email shows for those dates. Many shows never even respond to my emails. If I can't find the dates for the show there will not be an asterisk* placed next to the dates for that show. I have a red disclaimer pointing out that the asterisk indicates the show has current show dates and that the calendar has not been completely updated beyond that point. Did you see that notice? However, I do thank you for sending us those show dates. I have updated the show. Hello! I am writing on behalf of the Boca Raton Museum of Art. The dates for the Outdoor Juried Festival in Mizner Park, Boca Raton, in February 2017, are incorrect. The fair will be February 4 and 5, 2017. Thank you! 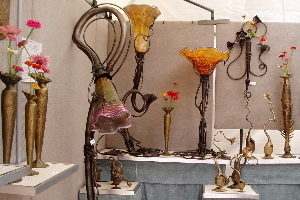 Hello Elana, We list fine art shows here on the Art Fair Calendar. We try to limit our listings to shows that sell juried fine art. 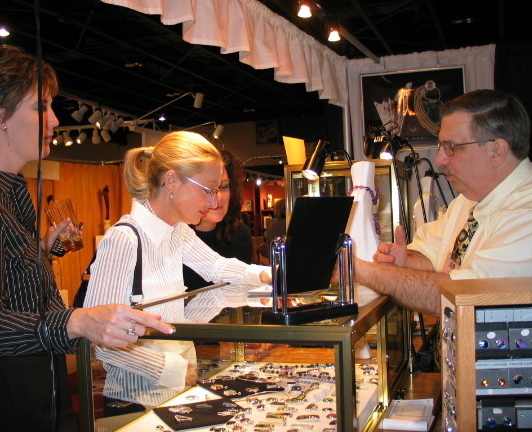 While your event sounds lovely it would find more interested patrons on a different website. Thank you for your interest in our calendar. Hello Hal, the shows that have been updated have the little asterisk right after the dates. Not too many shows send us their show updates. So, that leaves me to hunt the internet to find the up coming show dates! I just have updated all of the pages through to March yet. You would be surprised how many shows don't put their future show dates on their websites until right before their shows are to take place. When I can't find the dates and the show doesn't respond to my emails their shows are removed from our calendar. So, that is what is going on. When reviewing your Florida shows in March 2016 I noticed that many of the dates do not match the weekends in March. Could those dates be wrong? Hello Judy. You are correct. Not all the shows on our Florida page are up to date yet. If you noticed I have a statement posted that not all the shows after October 25th are up to date. The reason for that is I have to chase all of the shows down if they do not have current show information on their website. You would be surprised how many times I encounter that. Be patient, I am still working on updates. Oh, if you see an asterisk * after a show date, that indicates that show's dates are correct. Hello Jen, Yes, you need to contact the show personally that you want to be a vendor in. That way you can ask questions and see what that show's requirements are. Hi, I really appreciate all the work you've done compiling this comprehensive list. I want to find out more about becoming a vendor at these fairs. Do I need to contact each one individually? Thanks. I am interested in exhibiting in the January 24, 25 show in Naples at Fleischmann Park. Who can I contact about that? I attended the Boca Raton Museum of Art Outdoor Juried Art Festival on February 7 & 8. While there I saw wonderful colored glass block pendulums - hanging from a heavy wire and suspended from beautiful metal brackets. I have lost the artist's cards and am interested in located the name of this artist. If anyone knows, please share. Hello Alejandro, this website is a calendar of juried art shows. We don't advise people on how to sell other people's art work. Also, you are correct about one thing. 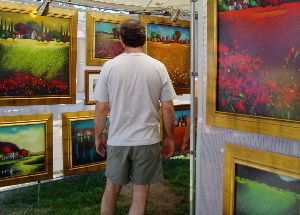 Juried shows do not let people sell other people's art work. The artist has to be present at the show. So, none of the shows we list here on the Art Fair Calendar will allow you to sell art work you have picked up anywhere that is produced by someone else. A gallery may take a few pieces but you would have to talk to the gallery. Good Luck.